Diwali is a festival where we get the license to be our most loudest and exuberant self. That is the case for some people. For others, like me, it’s just another excuse to curl up and fire up a string of shows that warm the heart. Most of the shows in this list are family oriented shows but I’ve thrown in a few surprises like raisins in chiwda. So bring along that bowl of chakli and besan laddoos and binge on the roster that is coming up. 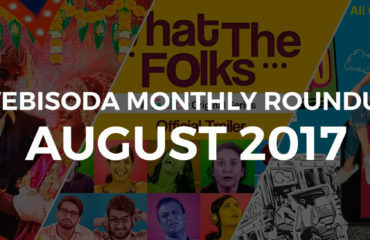 I know that I have gushed about this show already in my August Roundup (September’s coming by the way, It’s just too many shows to catch up.) but it’s worth mentioning again. The chemistry, the family dynamics between the cast members is just perfect. For a newly married couple, this experience will surely be relatable and with good reason. Dice Media has hit hit out of the park with this one and we are looking forward to season 2. Ok, I’ll justify this in a minute, hear me out first. 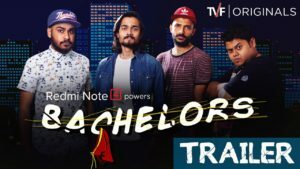 Bachelors is more of an anthology than a connected web series. The reason for it’s inclusion is simple. It’s just a feel-good show. 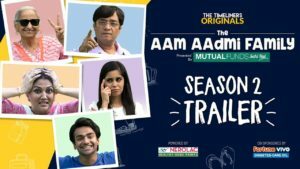 Don’t get me wrong, it is a brilliantly written and acted anthology of bollywood spoofs but that’s just what makes it perfect for this festive season. 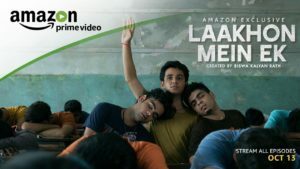 TV channels are going to show us the millionth reruns of Lagaan, Munnabhai MBBS, Nayak, A Wednesday anyway, watch the parodied versions for a change, if you haven’t already. It’s a shame that a show so good is called off after it’s first season. That’s Indian TV for you , spewing out non-sensical drabs in the name of comedy (looking at you Jethalal) and if I’m left to my devices, this whole post will be filled with how much I hate our TV shows currently airing, but I digress. 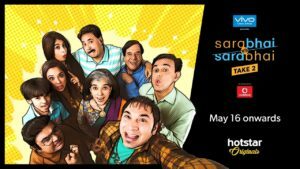 Sarabhai was one of the best shows on Star One, when it launched and I am so happy that it got a second season. This season might not be better than the first, but it’s still just as good. 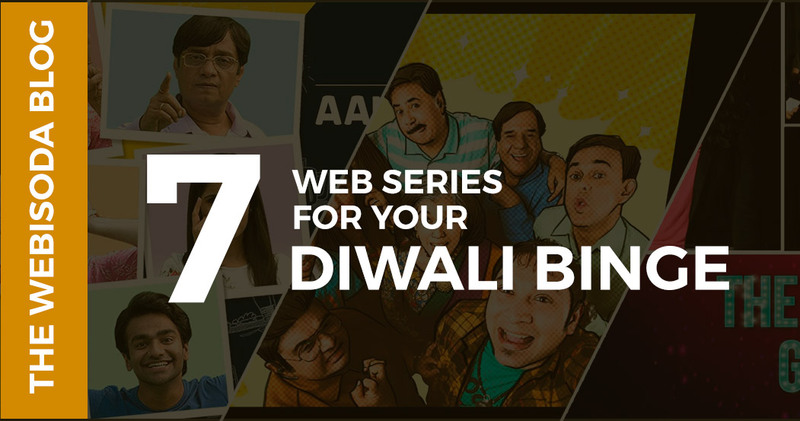 Watch the brilliant actors live out their zany characters once more. This show is just fun. General, Fun. Eh? Eh? No? Ok.
Kaneez is a great host and you can clearly see her improv chops in this one. 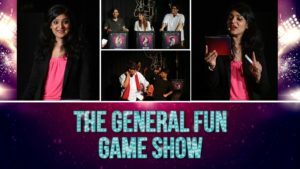 The only Game show to hit this site, it’s packed full of nonsense rounds and amazing guests. Kaneez’s self-deprecating humour is what gets me rolling. 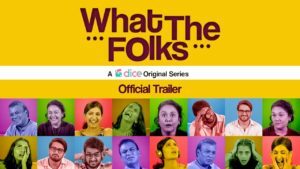 This show is perfect for that festive humour and great to watch with friends coz it’s general and fun nad a game and a show. This family show is a little bit hatke. One year since it’s premier, the characters are still fresh and now is a good time for a rewatch. Tripling is a great show for the sibling love that’s shown mostly in the form of stupid pranks. 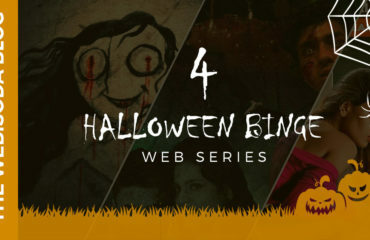 The writing is a little weak as opposed to PR or Pitchers but it’s a solid show on it’s own and Sumeet Vyas holds his own a s a web-series darling. I’ve just finished binging this show and I had to include it in some form or the other. The production quality, the writing is top notch. The protagonist may get under your skin, but that’s always a risk with new actors. Biswa has outdone himself and has proven time and again that comedians are putting out the best content out there, not only in India but the world over. Check out Atlanta and Master of None, if you haven’t already.